The role of urban parks started to change nationally by the early 1900s as more people recognized that children in cities needed safe places to play—someplace other than empty lots or busy streets. Reformers began to advocate for the creation of playgrounds for the children, not just because the streets were dangerous, but also because they believed that unsupervised play encouraged juvenile crime. As the movement gained momentum, supporters formed the Playground Association of America in 1906, a citizen organization with the goal of building playgrounds for the benefit of children. 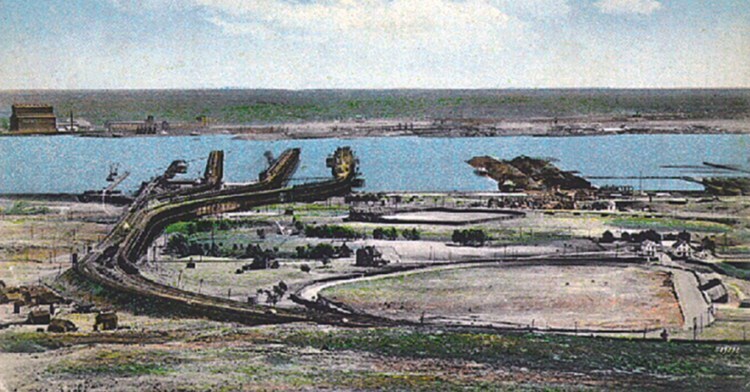 Duluth was receptive to the idea; in fact, letters advocating for the creation of playgrounds began to appear in the local newspapers as early as 1904. The park board set aside a few areas for children to play in the parks, but it provided no playground equipment and no supervision. Play life in the great cities has been considerably changed because of the progress which has been made in commercialism and industry. The children years ago had many corner lots to play on, and the streets were not as crowded with people and vehicles as they are today. The cities have been increasing in population, buildings have been erected upon once vacant lots, and with the increase of business the streets have filled with teams. The conditions have become such that the children have been crowded into small quarters, and it is here that juvenile crime starts. Moreover, these conditions are detrimental to the health of children. Play is the business of boys and girls… In their play they develop physically, intellectually, and morally, and the importance of this development must be realized by the people of our cities. Following Hanmer’s visit, a group of Duluthians, including members of the park board, formed a chapter of the Playground Association of America with Mayor Haven serving as president. Other officers included Lucien Barnes, Mrs. H. C. Marshall, Mrs. W. S. Woodbridge, John Miller, and park board members Bernard Silberstein and Bishop James McGolrick. Everyone interested in playgrounds could join the association for a minimum fee of $1 per year. The men and the women have their parks, their clubs, their links and their socials and other places of amusements, but what have the children? The vacant lots are rapidly being filled up and many of those still unimproved are forbidden to the children by the owners, who want no trespassing. Despite the lukewarm support, the park board announced that swings and sand piles for children would be installed at Portland Square. Unfortunately, the surrounding neighbors complained that the children were too noisy, and the board removed the playground equipment after only three days. The News Tribune described the scene vividly: “Little ones in scores watched in mute astonishment their little merry-go-round pole come down, their swings fall before the hands of the workmen, and all the apparatus which had been a joy to them carted away on a truck. Half a dozen little girls sat on the curbing and wept.” The failure of this first experiment led playground advocates to realize that, to be successful, playgrounds would require adult supervision. Duluth’s playground association did not let the Portland Square fiasco stop them; members pushed the park board to allow the organization to install playground equipment at Lincoln Park. As a result of their persistence, the board agreed, but only as an experiment and only if the children were supervised. 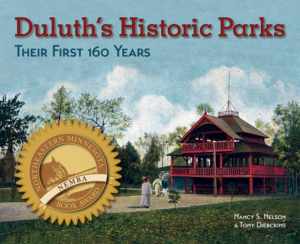 On July 17, 1908, the first public playground established by the Duluth Playground Association was opened at Lincoln Park, and the children loved it. Two supervisors—one man and one woman—kept the youngsters under control. The playground closed for the season in September, but Mayor Haven considered it an unqualified success and promised to open more the following year, but only if enough money was raised to buy the sites. The playground association began an aggressive fundraising campaign in 1909, again hoping to raise at least $1,000 to carry on its work. With the support of the West End Commercial Club and the West Duluth Commercial Club, the association committed to paying the expenses to acquire equipment for two playgrounds, one near the Bryant School (Thirtieth Avenue West and Third Street) and another between Seventeenth and Eighteenth Avenues West on the lower side of Superior Street. The playgrounds included swings, parallel bars, and other gymnasium apparatus. The association was, however, unable to raise enough money to purchase property. At this point, the park board stepped in and agreed to acquire the necessary land. By the end of 1909, the board announced that it would spend $3,300 for eight lots near Irving School (between Fifty-sixth and Fifty-seventh Avenues West on Nicollet Street) and $10,250 for the two and a half acres on West Third Street near Bryant School, which they named Harrison Park. The board also tried to purchase vacant land north of Wadena Street between Fifty-first and Fifty-third Avenues West, which neighborhood children had long been using as a ball field, but they could not negotiate an acceptable price with the West Duluth Land Company that owned it. By 1911 the park board had installed playground equipment including swings, sand boxes, and parallel bars at several locations: Lincoln, Fairmount, Chester, Harrison, Lester, Portman, Washington, Portland, Cascade, and Lake Shore parks. A few of these parks also included baseball diamonds, swimming holes, and skating rinks. In 1912 the park board added land for a playground on West Third Street near Emerson School, which Mayor Prince later agreed to name Observation Park at the suggestion of the Fifth Ward Hillside Improvement Club. But the playground association was unable to raise enough money to provide adult supervisors, which everyone recognized as essential. In May 1912 playground expert Dr. Henry S. Curtis visited Duluth for a six-day campaign to help build enthusiasm for the movement. Following Curtis’s visit, playground association members adopted a resolution urging the Duluth Board of Education to cooperate with the Duluth Board of Park Commissioners and the Duluth Board of Public Welfare to hire a director of public recreation and a play leader. The revised city charter that took effect in April 1913 eliminated the park board, which stripped the playground association of its main source of support. Responsibility for the city’s parks shifted to the mayor, and members soon began lobbying newly elected Mayor William Prince.